After spending several years in L.A. honing his musical chops, Central Coast native David Courtenay is back in town with his debut album, featuring 10 original songs that pay homage to the music of late ’60s and early ’70s. On the engaging “The Rhymes in My Head,” Courtenay’s voice hints of Jethro Tull frontman Ian Anderson, while the funk infused “Paying the Price” is reminiscent of Crosby, Stills & Nash. “These Years” treats listeners to Paul McCartney-esque piano stylings, and “On My Way” and “Higher Mind” echo the works of the Grateful Dead. 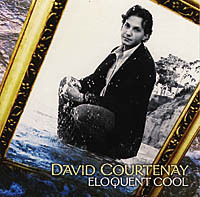 And even though he may be influenced by the music of the Free Love era, Courtenay’s songs are modern enough to entice even the most contemporary of music fans.